Anyway, I had a client approach me who wanted a switchbox so he could switch easily between four headphones. Obviously you don't want to have all four headphones connected at once due to various drive and impedance issues, hence the switch. 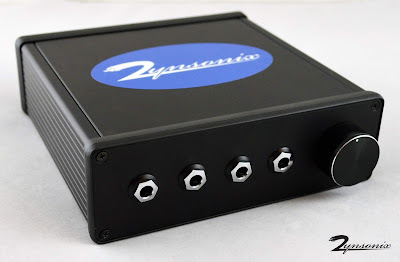 In addition, the unit should be as transparent as possible as sound quality is paramount in this hobby... so we have a point-to-point 1 to 4 headphone switch, so up to four headphones can be connected simultaneously to an amp, and switching between them is as simple as the click of a switch (and swapping them on your head). For the box I used a Hammond extruded aluminum box with aluminum endplates, anodized black (everyone likes black). 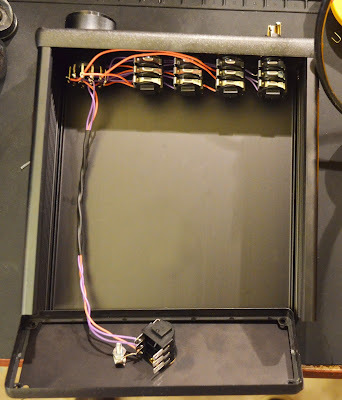 It needed to be a wider model for enough panel real estate for the switch and four 1/4" connectors. While 4 pole, 3 throw switches are as plentiful as flatulent passengers in airplanes, 3 pole, 4 throw are a little more difficult to find. I used one made in the U.S. by Electroswitch, found on Mouser. If funds permitted we would have gone with Elma/Goldpoint, but this is a great switch with smooth operation. For the 1/4", I went with the super common Neutrik NMJ6HC-S, which is the more attractive jack from their M-Series and is very reliable. It has switching ability as well, but that wasn't needed in this application. Everything was wired up using solid core silver-clad wire in PTFE. I highly recommend this wire for internal chassis work. 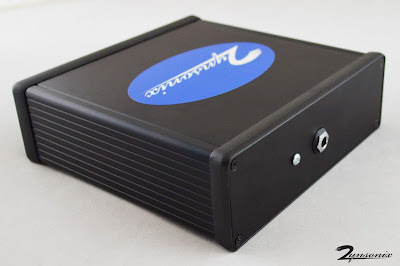 It sounds excellent and is easy to work with. Just be sure not to be too aggressive when stripping it as if you nick the solid core wire, it can break off and you'll end up with an open circuit. 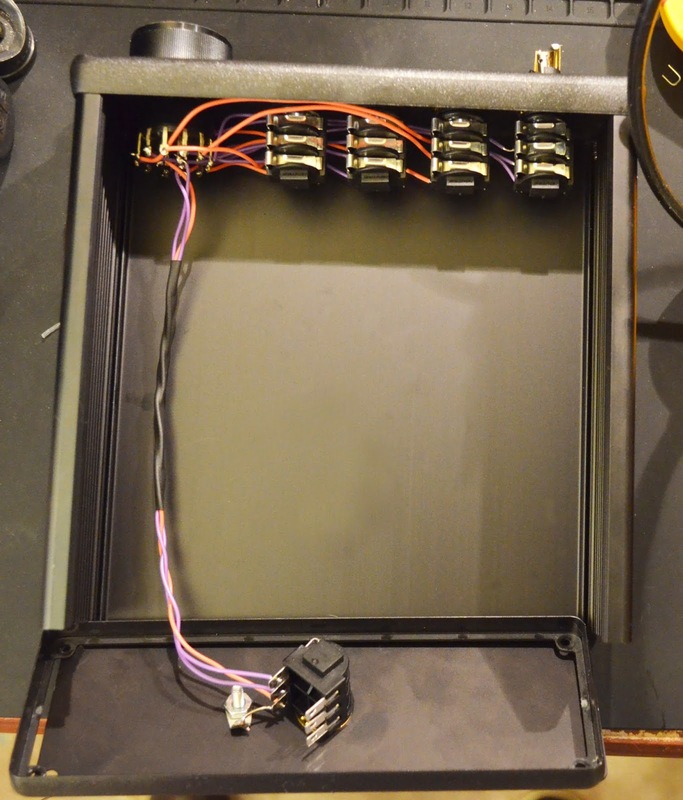 You'll note below the ground is tied to the chassis via a screw and locking solder lug. 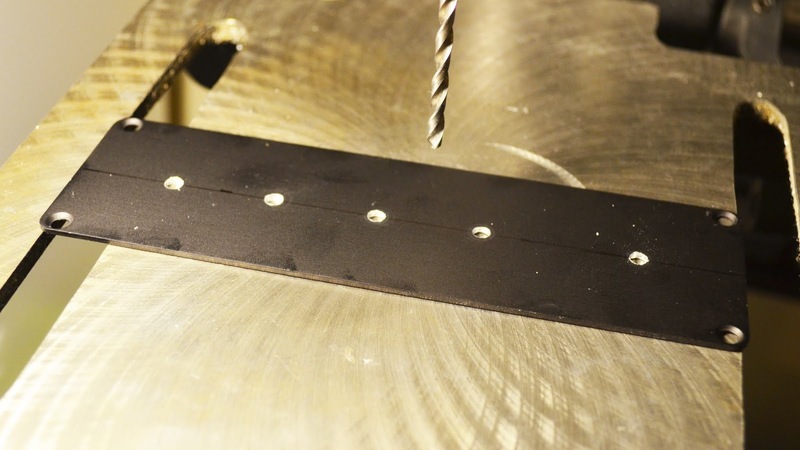 This is important to ensure the metal chassis has active shielding from noise no matter which output is selected. This is a simple, effective switchbox which hopefully the client will enjoy. Please remember that building/modifying circuits can be dangerous to you and/or your surroundings and should only be performed by a certified technician. The owner of this blog and all associated parties can not / will not be held responsible if you attempt a build or modification posted above and cause physical harm to yourself or your surroundings.